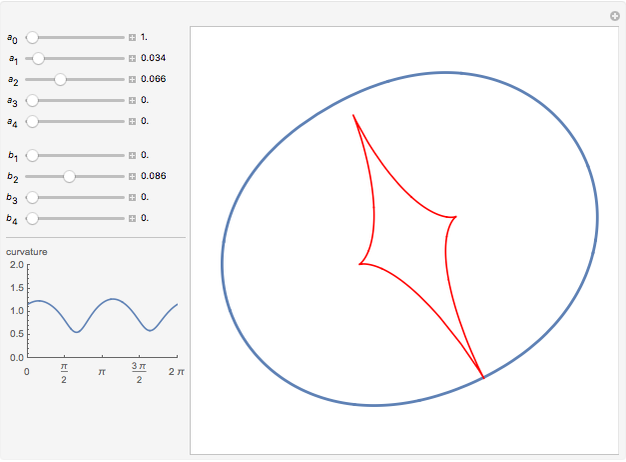 The evolute of a plane curve is the envelope of its normal lines. The evolute of a simple convex curve is closed and bounded, and its evolute has cusps corresponding to the vertices of the curve. The rotation index of the evolute measures the number and type of loops. It is shown in  that the rotation index of the evolute and the number of its cusps are related by the simple formula . 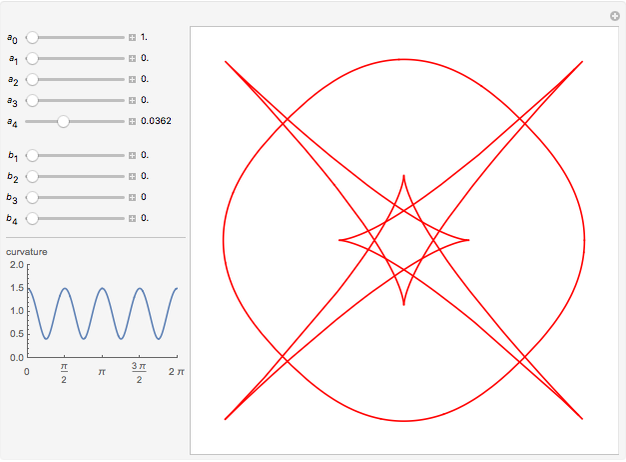 This Demonstration shows a polar curve whose radius function is a Fourier series with coefficients , that you can vary. The main image is the curve in blue and its evolute in red. The small image at the bottom left is the curvature of the curve, making it is easier to pick out the vertices (try to keep the curvature positive or else the evolute extends to infinity). 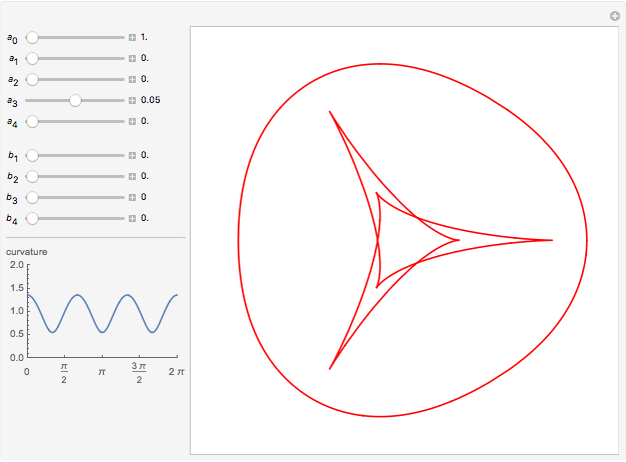 See if you can find curves whose evolutes have rotation index 1, 2, 3 and so on and see how the formula holds. T. Waters, "The Conjugate Locus on Convex Surfaces," Geometriae Dedicata, forthcoming. arxiv.org/abs/1806.00278. Thomas Waters "Rotation Index of Evolutes"